A steady stream of guests kept the museum filled all evening. Photo by Maël Renault. 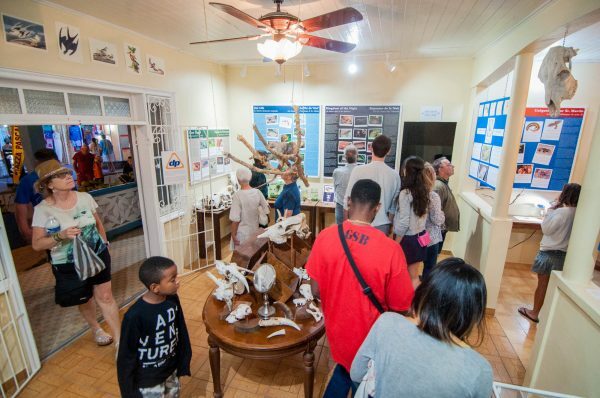 St. Martin’s first and only natural history museum, Amuseum Naturalis, officially launched its 2017 season on Tuesday. 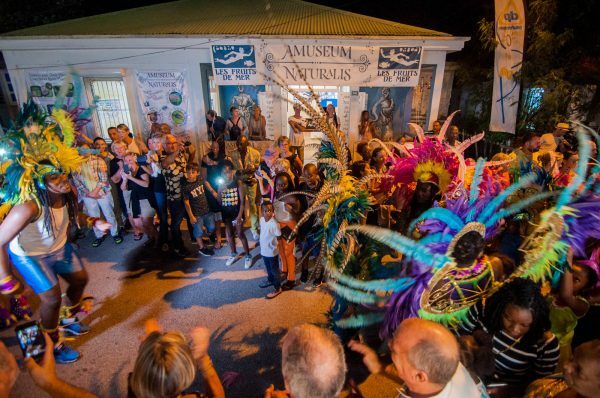 It welcomed over 750 guests during the five hour season opening event, an attendance record for the free nature museum, which is run by the Les Fruits de Mer association. The opening coincided with the first Mardis de Grand Case street fair of the season. Now in its second year, Amuseum Naturalis was buzzing with the activity of visitors of all ages—and the sounds of frogs, bats and crickets broadcast from listening stations at the exhibits. In the theater room, short documentaries took visitors from deserted islets to deep beneath the sea. The latest addition—a mounted iguana—surveyed the main exhibit room from a central perch. 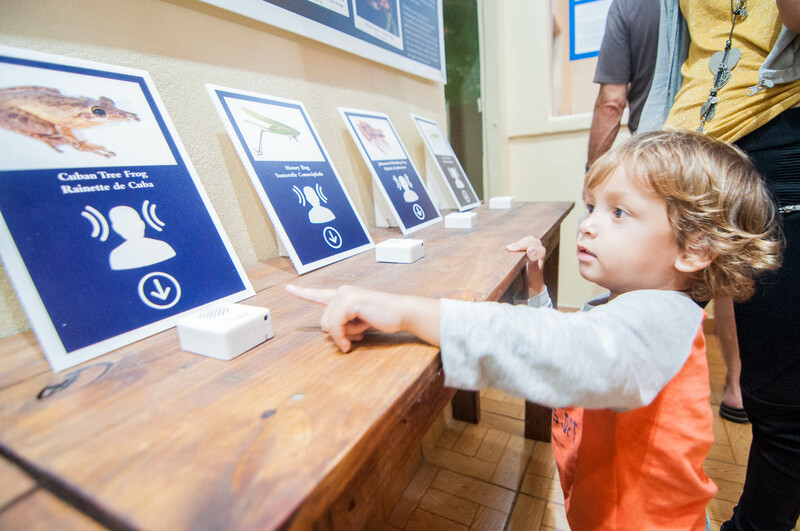 Listening stations filled the museum with the sounds of nocturnal animals. Photo by Maël Renault. Guests took a break from science to enjoy a cultural experience as the parade passed the Amuseum. Photo by Mark Yokoyama.